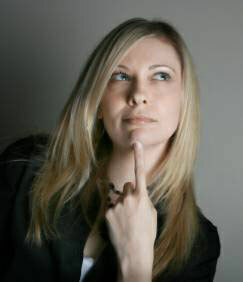 Health, Aging, and Wellness Are you aging unnecessarily? Can you spare the time to read two pages a week to live longer, healthier, and happier? Did you ever notice how some people look and feel younger than their age? Yes, nutrition, exercise, and genes are factors. Their biggest secret, however, is that they think differently. Model their thinking and you too can have a youthful outlook at every age. Like lemmings go to sea, most people are following our culture's beliefs about aging. Those beliefs foster aging more than you need to. Adopt a youthful mindset, and you will be more youthful at every age. So why should I listen to you? When I turned 50 I became consumed with discovering why some people look and much feel younger than their calendar age. You know, the kind of people who exude vitality and resiliently shed stress? I spent years discovering centenarian secrets and scouring the best Anti-Aging Research so you don't have to. 52 baby steps to Grow Young provides a number of answers embodied in my own advice, i.e., "you can’t turn back the clock but you can rewind it." Dr. Brickey gives a clear vision on how to grow young through weekly steps that transform your thinking process. His easy-to-read steps are a refreshing way to renew your spirit and live a better life. 52 baby steps distills anti-aging research and centenarian secrets into a set of brief tasks that readers will find easy to do in their effort to look and feel younger than their chronological age. Each step is a gem. I immensely enjoyed this wonderful, well written, pithy daily primer on what it takes to be young at every age. A refreshingly humorous perspective on the human condition. We really are what we perceive ourselves to be. 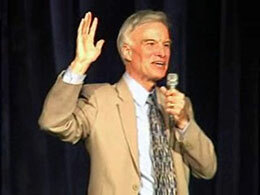 Dr. Brickey’s 52 baby steps to Grow Young is energizing and life enhancing. It is a wonderful way to practice the positive psychology he enlightened us with in his Defy Aging. This may be your emotional fountain of youth! Good, accurate information, simple explanations, stimulating quotes and a good joke or two mark each step to growing young. With such a map, why not got for it? 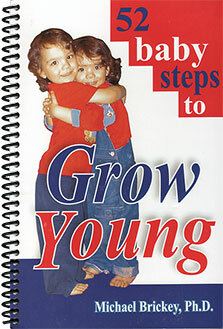 Michael Brickey’s 52 baby steps to Grow Young gave me many moments of laughter and profound thoughts. 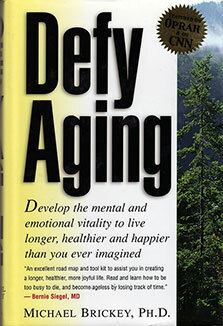 At last, a book on aging that is short, succinct, and eminently practical. The advice is wise and when possible evidence-driven. Your thinking plays a huge role in how you age. Nursing homes are full of people who did not age well. The ideal is to live a long, healthy life and when you die, go quickly. That is what a lot of vital centenarians (people 100+ years old) do. A Grow Young mindset helps you follow their example. 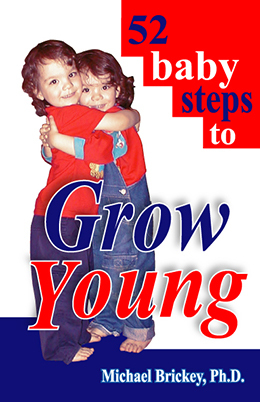 52 baby steps to Grow Young leads you step by step with baby steps that develop a youthful mindset at every age. And it only requires reading two pages a week. 52 baby steps to Grow Young isn't magic diets, magic pills, or magic exercises. It is practical, easy to make belief shifts. Any one step seems tiny. Cumulatively the steps make a huge difference in developing a youthful outlook at every age. Your aging is too important to be left to chance or get sucked into our culture's negative beliefs about aging.